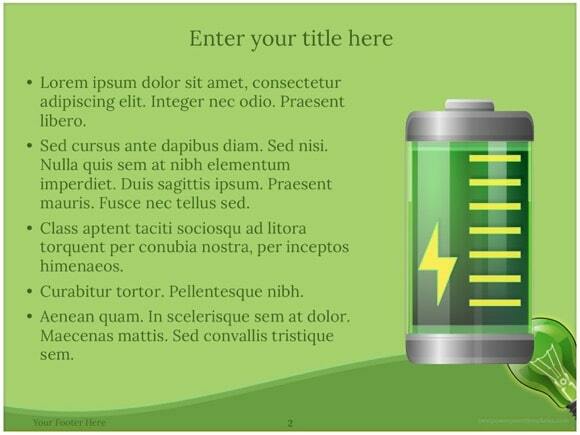 Green Energy PowerPoint template - FREE! 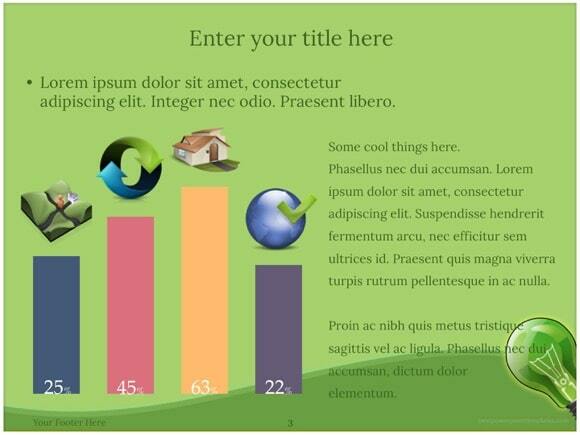 Green energy PowerPoint template can be used for Eco and Ecology PPT presentations. 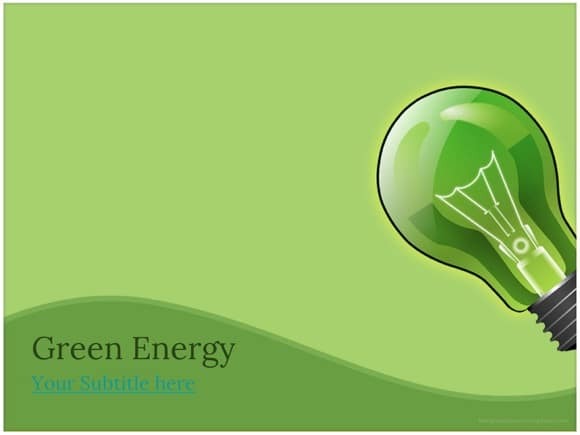 We suggest using this slideshow for presentations about renewable energy, energy conservation, and efficiency. 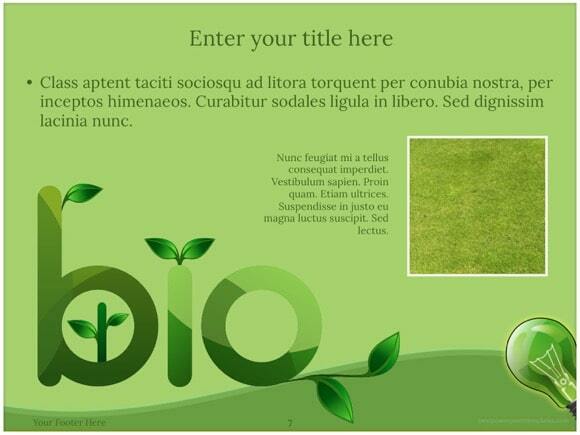 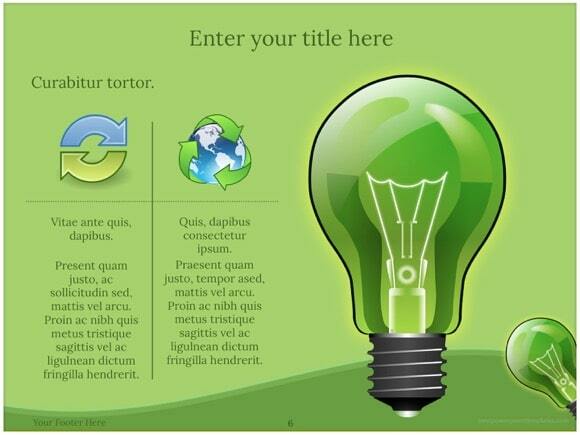 Solar energy, wind energy, wave power are also possible topics for this beautiful green template. 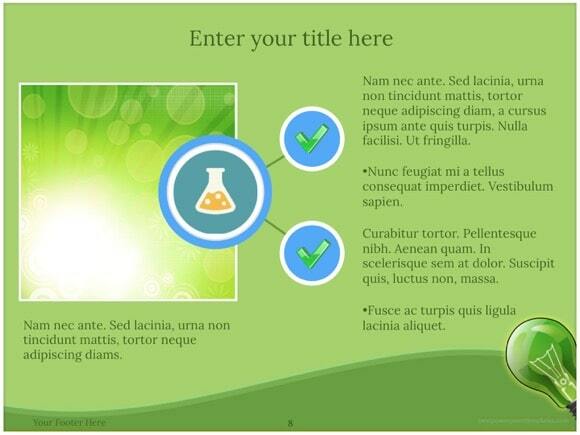 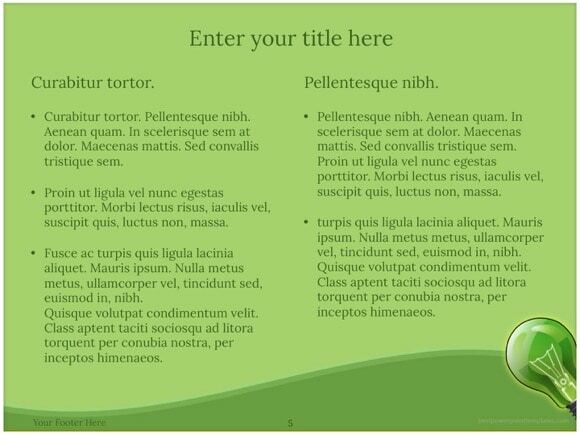 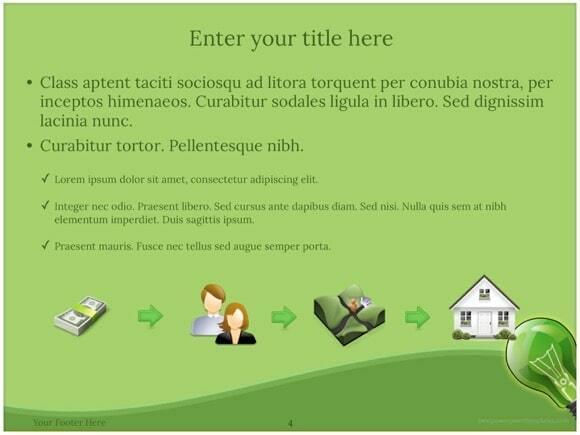 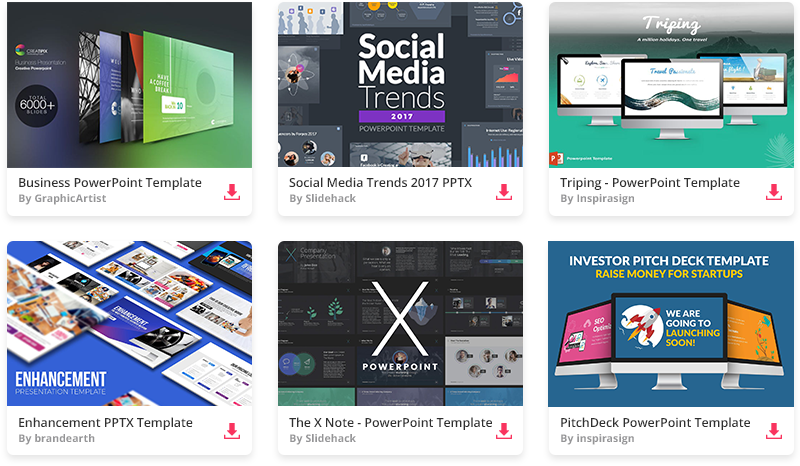 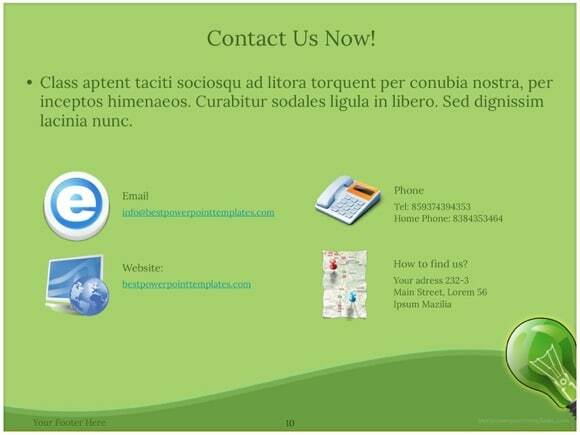 Download green energy PowerPoint template right away and impress your audience! 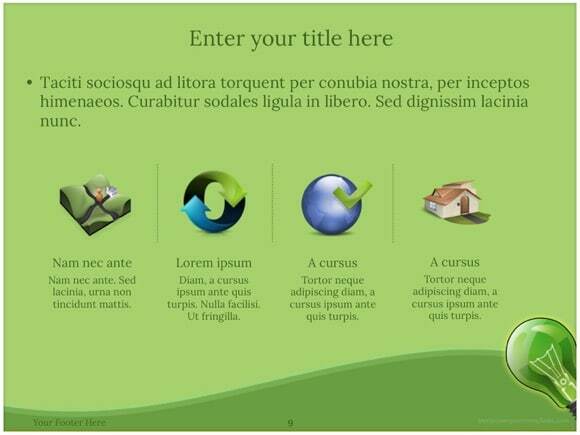 You can find many more GREEN PowerPoint designs on our website.